Fibromyalgia is a pain disorder characterized by chronic widespread musculoskeletal pain. It’s different from other pain disorders in that the symptoms are not restricted to pain; they are accompanied by fatigue, sleep, memory and mood issues. Researchers believe that fibromyalgia amplifies painful sensations caused by a stimulus which normally doesn’t provoke pain. This phenomenon is called allodynia and is common amongst Fibromyalgia patients. Women are more likely to develop fibromyalgia than men. Fibromyalgia affects 3.4% of women and 0.5% of men in the United States. 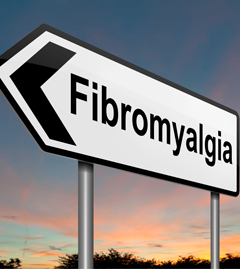 Patients who have fibromyalgia also commonly have tension headaches, temporomandibular joint (TMJ) disorders, irritable bowel syndrome, anxiety and depression. The pain associated with Fibromyalgia is often described as a constant dull ache, typically arising from muscles. To be considered widespread, the pain must occur on both sides of the patient’s body and above and below your waist. Patient suffering from fibromyalgia suffer also from fatigue, sleep, memory and mood issues. There are many approaches to treating fibromyalgia and every treatment is customized to better fit every patient and their symptoms. – We are proud to offer the BREAKTHROUGH IV Ketamine Treatment Therapy. This is a revolutionary way to treat Fibromyalgia and has excellent results. Use of ketamine showed a significant reduction in pain intensity during and after the test period in fibromyalgia patients. Tenderness at tender points decreased and endurance increased significantly. Well, Doctors and researchers still don’t know what causes Fibromyalgia. However, symptoms sometimes begin after trauma, surgery, infection or significant psychological stress. In other cases, symptoms gradually accumulate over time with no triggering event. Genetics. Fibromyalgia tends to run in families, this means you may be more susceptible to developing the disorder if a family member has it. It doesn’t necessarily mean you will pass on the disorder for certain. Physical or emotional trauma. Post-traumatic stress disorder has been strongly linked to fibromyalgia. Who is more likely to develop Fibromyalgia? OR WPI of 3-6 and SS scale score of ≥9. Note the number areas in which the patient has had pain over the last week. In how many areas has the patient had pain? Score will be between 0 and 19. 3) The patient doesn’t have a disorder that would otherwise explain the pain. People with fibromyalgia often complain of feeling unrested, despite getting adequate sleep. Sleep is frequently interrupted by pain, and other sleep disorders, such as restless legs syndrome (RLS) and sleep apnea.